Dave Lee was the person who first diagnosed the problem. The YouTuber who sounded the alarm over serious thermal throttling on the new Core i9 MacBook Pro confirms that Apple corrected the performance-killing problem. Following the macOS High Sierra update Apple issued yesterday, YouTube tech reviewer Dave Lee uploaded a new video showing that the patch did its job. After the upgrade, his new MacBook Pro is running faster! 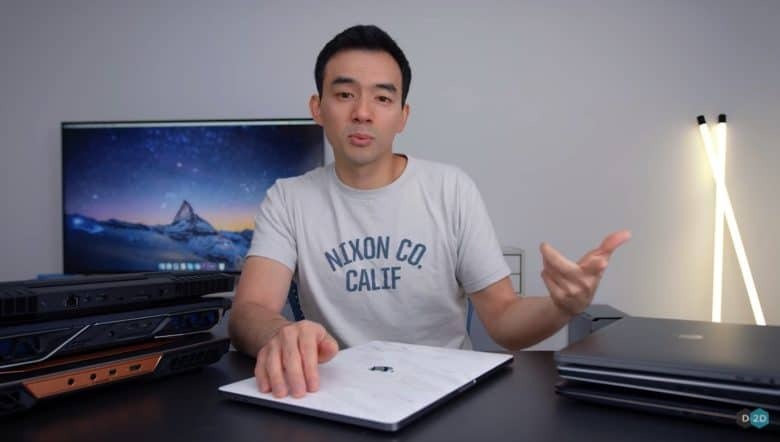 In his first video about the MacBook Pro’s thermal throttling problem, Lee identified a serious problem with how the high-end Apple laptops handle heat. Under heavy loads, the new 15-inch Apple laptop with the most expensive Core i9 chip could not even maintain its normal clock speed, let alone the much-higher Turbo Boost speeds. Lee highlighted the heat-related glitch and demonstrated a novel “fix” — by running the MacBook Pro in his freezer. The video generated loads of bad press for Apple. Critics and consumers alike worried that the company placed its thin-and-light design ideal ahead of pro-level performance. In his follow-up video, Lee runs an Adobe Premiere render time test to show how the update increased the speed of his shiny new laptop. He also tests it with other laptops sporting Intel’s latest Core i9 processor. These include the Alienware 17 R4, Acer Helios 500, Asus G703, Dell XPS 15 and Zenbook Pro. Due to its size, the MacBook Pro doesn’t cool as effectively as some of the thicker, larger laptops. However, it nonetheless performs impressively compared to some of the other slimline notebooks. Where the MacBook Pro definitely excels is its quietness, which has long been a selling point for Apple’s computers. None of the other laptops in Lee’s test run as quietly as the Core i9 MacBook Pro. Lee says he wishes Apple engineered a better thermal solution to begin with, however. For those who haven’t been keeping track, the thermal throttling issue caused Apple’s new Core i9 MacBook Pro to downclock itself to prevent overheating, even when this was not necessary. Had you experienced thermal throttling on a new MacBook Pro? Have you noticed a significant improvement since Apple’s patch was released? Let us know in the comments below.